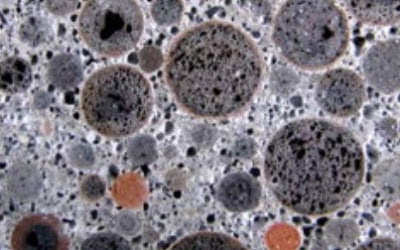 What is the Influence of Saturation of Concrete in Thermal Behavior? Dear reader in the last post we have learned about specific heat and importance of thermal properties in concrete structural design. In this post we will learn about thermal conductivity and the facts that influence this property. In the current world we have observed many disasters in concrete structures either by unexpected accidental occurrence or by terrorist attack. We have published many posts about these facts. You can read these. 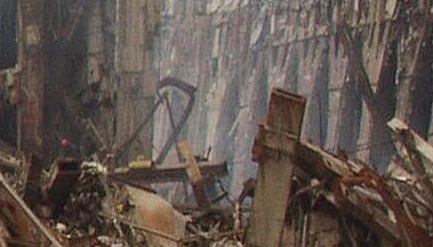 Of these, we can recall September 11 Twin Tower attack. However, the cause of failure due to exposure of concrete in extreme heat is our concern. In case reinforced concrete or composite concrete, the heat conductivity is important, as well, for safe performance of steel reinforcement in concrete. Dear reader in this blog we will discuss about how to make concrete fire resistant. In this post we will discuss about influence of saturation of concrete on the thermal conductivity. Thermal conductivity is a measure that defines capability of conducting heat through a material (her concrete). It is measured as j/m2s0c/m. The conductivity of normal concrete depends on composition. In normal concrete, saturated concrete shows a conductivity of ranging from 1.4 to 3.6 j/m2s0C/m. We know that air has low thermal conductivity. So a light weight concrete shows low conductivity and this property depends largely on the density of lightweight concrete. But, in case of, normal concrete, density does not affect much the thermal conductivity of concrete. ACI 207.1R provides typical conductivity values of concrete. Now come to the point-influence of water. We know water has more conductivity than air. In case of light weight concrete, an increment of water content by 10% produces a concrete of increased conductivity of 1.5 times. Again, hydrated cement paste in concrete has more conductivity than water. So a low water content concrete mix has higher conductivity than a concrete mix of having higher water content. Dear reader in the next post we will discuss about aggregate’s influence in thermal conductivity. What is Revibration in Concrete Compaction? Why is Delayed Compaction of Concrete Beneficial?